Techtiary Forum is the annual climax to the yearlong Techtiary clubs activities across Nigeria’s tertiary institutions. 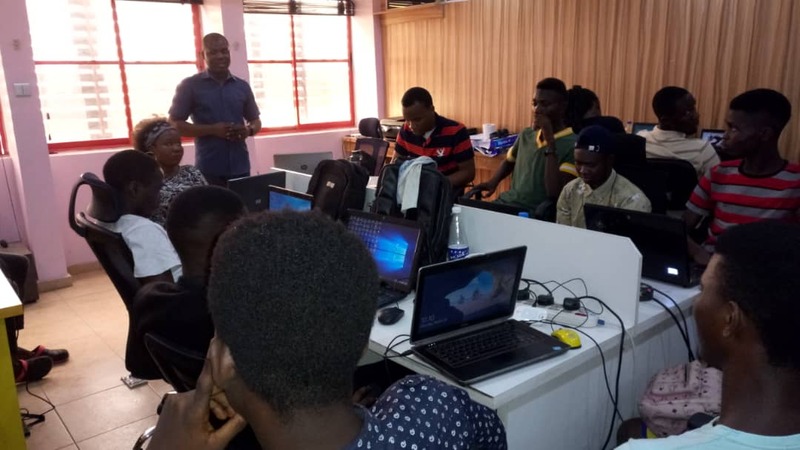 According to Olayinka Taiwo, Techtiary Program Assistant, at Paradigm Initiative, “Techtiary clubs have over the years become platforms where students initiate innovative tech ideas from the onset of their tertiary education and develop these ideas till graduation and beyond. Some three hundreds Nigeria’s brightest innovators across various tertiary institutions will gather at the Forum to shape the future of Nigeria’s tech scene. Techtiary Forum 2017 will also provide the platform for many of these innovators to showcase their tech creations before experts panels and compete for the 1 Million Naira Taiwo Bankole Prize. 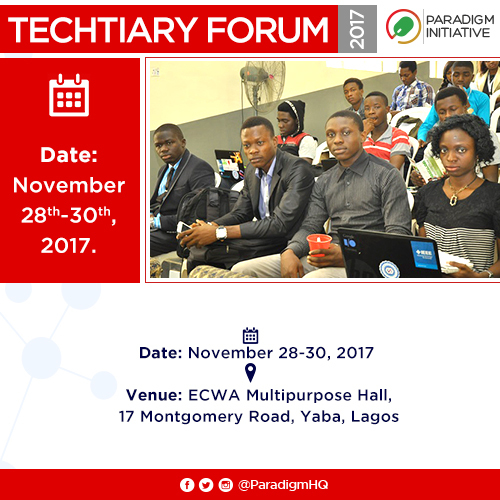 ‘Gbenga Sesan, the Executive Director of Paradigm Initiative noted, “Nigeria’s future does not lie in its mines and natural resources, but in the minds of its most creative young people – many of whom will be at Techtiary Forum 2017”. Tope Ogundipe, the Director of Programmes of Paradigm Initiative also stated, “They will also get the chance to learn from some of Nigeria’s best technopreneurs such as Damilola Solesi of Smids Animation, Ommo Clark of iBez, Joseph Agunbiade of Budgit, and Anike Lawal of Mamalette. ‘Gbenga Sesan, the Executive Director of Paradigm Initiative and Akin Oyebode, the Executive Secretary, Lagos State Employment Trust Fund, will give the keynote addresses. Speakers at the event include Olufunbi Falayi, CEO of Lead Space, Sheriff Shittu, founder of Switch! Express and Modupe Arokoyo, founder of Modupe Olobe, amongst others. Techtiary Forum is a flagship of Paradigm Initiative’s Digital Inclusion programmes and is our contribution to connecting youths in underserved communities with ICT-enabled opportunities.